DAVID LE/Staff photo. 6/3/15. 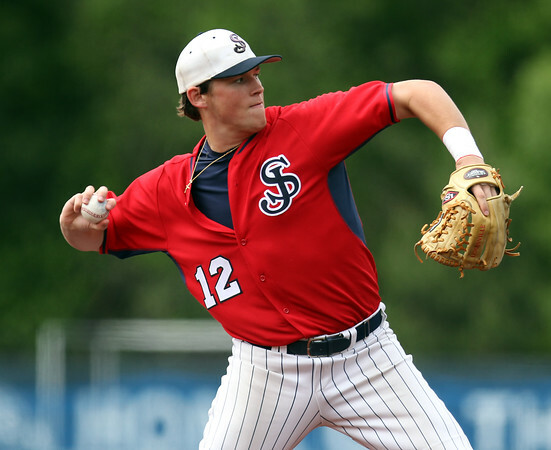 St. John's Prep senior third baseman Teddy McNamara fires across the diamond to retire a Newton North batter.